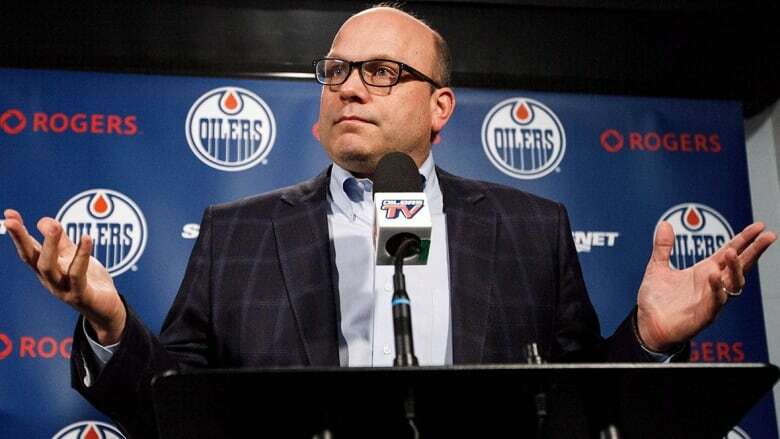 There are many reasons Peter Chiarelli is no longer the general manager of the Edmonton Oilers. At the top of that list was his inability to build around the generational talent of Connor McDavid. In the end, there were just too many missteps to keep him at the helm. There are many reasons that factor into the sorry state of the Edmonton Oilers, a predicament that resulted in the firing of president of hockey operations and general manager Peter Chiarelli on Wednesday. The 54-year-old former Harvard forward inherited a mess, but he left the once-proud organization in worse shape. It's a team that has no secondary scoring and a weak supporting cast behind superstar Connor McDavid and his reliable sidekicks, Ryan Nugent-Hopkins and Leon Draisaitl. The Oilers have no top-three defencemen, only a few No. 4s and a pile of castoffs. They also don't have a bonafide frontline netminder. There will be no quick fixes for this club. Chiarelli's successor will take over a team in salary cap difficulty because of some troublesome long-term contracts. Yes, the Oilers sit only three points out of the final playoff spot in the West with 32 regular-season games remaining. But they also are only six points from the league basement, a spot the Oilers have become all too familiar with. 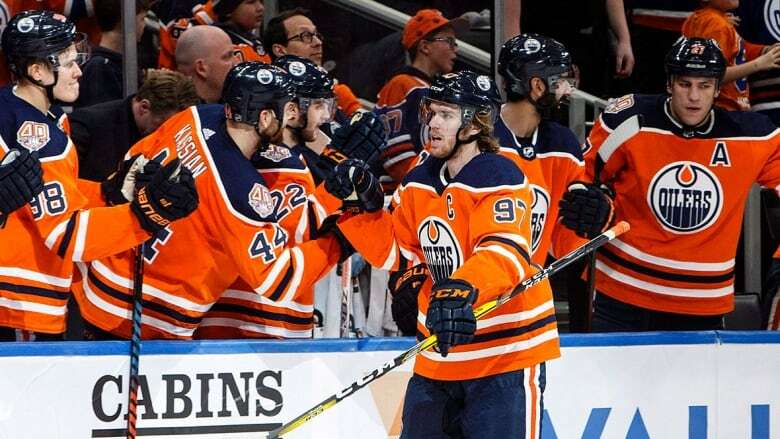 Edmonton has finished 21st, 30th, 30th, 29th, 24th, 28th, 28th, 29th, eighth and 23rd, respectively, since pharmacy billionaire Daryl Katz purchased the team in July 2008. There have been eight coaches in 10 seasons and the general manager chair has changed from Kevin Lowe to Steve Tambellini to Craig MacTavish to Chiarelli. The latter, a lawyer from Nepean, Ont., took over the Oilers 45 months ago, hired by the team's new CEO Bob Nicholson. Chiarelli had been fired nine days earlier by the Boston Bruins, the club he had steered to the 2010-11 Stanley Cup championship. He hired a capable coach in Todd McLellan the next month, and in June 2015 selected McDavid, the obvious first-overall choice at the draft. Chiarelli's good decision-making ended a week later when he signed unrestricted free agent Milan Lucic to a salary-cap strangling seven-year, $42-million US deal. While many teams saw the light, turning from big and physical to speed and skilled, Chiarelli and his staff were blind to the transition. Chiarelli further damaged the organization with the Taylor Hall-for-Adam Larsson trade with the New Jersey Devils in June 2016. Ironically, Larsson had one of his worst games for Edmonton in a 7-4 loss at home to the Carolina Hurricanes on Sunday. It proved to be Chiarelli's penultimate game. The Oilers made the playoffs without Hall in Chiarelli's second year. But goalie Cam Talbot had a spectacular season and masked many of the team's defensive deficiencies. Meanwhile, Hall won the Hart Trophy last season at the NHL's most valuable player. Chiarelli stumbled again when he dealt Jordan Eberle to the New York Islanders in exchange for centre Ryan Strome in June 2017. The outgoing GM gave up on Strome two months ago, dealing him to the New York Rangers for forward Ryan Spooner, who was placed on waivers earlier this week. Panic on this season set in for Chiarelli when he brought Sherwood Park, Alta., native Ken Hitchcock out of retirement to replace McLellan after the Oilers 9-10-1 start. But the Oilers haven't exhibited any signs of improvement under their eighth coach in 10 years, going 14-14-2 under Hitchcock. In the last two games — losses to non-playoff teams in the Hurricanes and the Detroit Red Wings — the Oilers simply couldn't catch their swifter opponents. As Hitchcock said, his team was "chasing, too much." It seems odd that the team with the best skater in the league, McDavid, is slow. But the Oilers are slow in a lightning-quick league. Nicholson's next choice has to do a better job drafting. Eberle, Hall, Darnell Nurse, Draisaitl and McDavid were no-brainers. But they could have had Ryan Ellis instead of Magnus Paajarvi in 2009, Morgan Rielly instead of Nail Yakupov in 2012, Matthew Tkachuk instead of Jesse Puljujarvi in 2016. They have to make better selections in all rounds — not just the first — and develop these prospects. WATCH | Who is new Oilers GM Keith Gretzky? Another knock against this team that has only one playoff appearance since losing in Game 7 to the Hurricanes in the 2005-06 final, is its poor record of development. The new boss also will have to find out for himself whether or not the persistent whisper is true that too many Oilers alum from the glory days have influence. It's always dangerous when ministers without official portfolios have a say. That doesn't change the fact Chiarelli inherited a mess and made it worse with the Lucic signing, the Hall and Eberle trades, poor drafts and development, as well as not doing enough to improve the blue-line and goaltending situations. There were just too many missteps to keep him at that helm as the trade deadline nears.